Hello Sauder! My name is Eric and I’m currently a Sophomore (2nd Year) studying in Sauder (in case that wasn’t clear). I was boring in China and immigrated to Canada when I was a prepubescent boy, I’ve lived in Vancouver for almost all my life now and have really grown a love for both countries. My passion for traveling led me to visit some of the coolest places on our planet, one example is Peru where I was able to hike in a blizzard and up to Macchu Picchu! Traveling and exploring are my biggest passions, later on into my senior years in high school and early years of university, I began to explore to new avenues of my environment through classes, friends, and clubs. If I had never stepped out of my comfort zone by exploring, I never would have known I was interested in finance, marketing and consulting and wanting to do these things as a career choice. At Sauder, I’ve been able to do all of that and have been grateful for all of the experiences I’ve been able to have so far and I hope to continue to expand my knowledge and give back to the community. Kaartik Sathianaryanan Shakila is a second-year BCom student at the UBC Sauder School of Business. An eager finance-aspirant planning for a career in corporate development and capital markets. 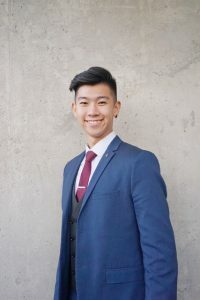 Having loved his two years in Sauder learning new subjects, forming new bonds and perspectives, he wants everyone to be welcomed like he was by the Sauder community. As an international student missing home, Sauder became his second home. 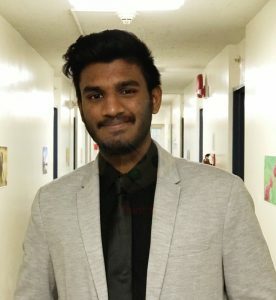 By being a third year rep he will be able to work together with other representatives to make the student experience better for the existing students in the conferences, networking sessions and personal development workshops. Keeping the CUS mission statement in mind, he wants to make sure that there is a balance in all the three key areas of personal, professional and academic offered to the students. He also plans to make consensus on the various services and the students preferences. You can often see him outside school working out in the gym and learning new sports. Vote for Kaartik as your third year representative this year!